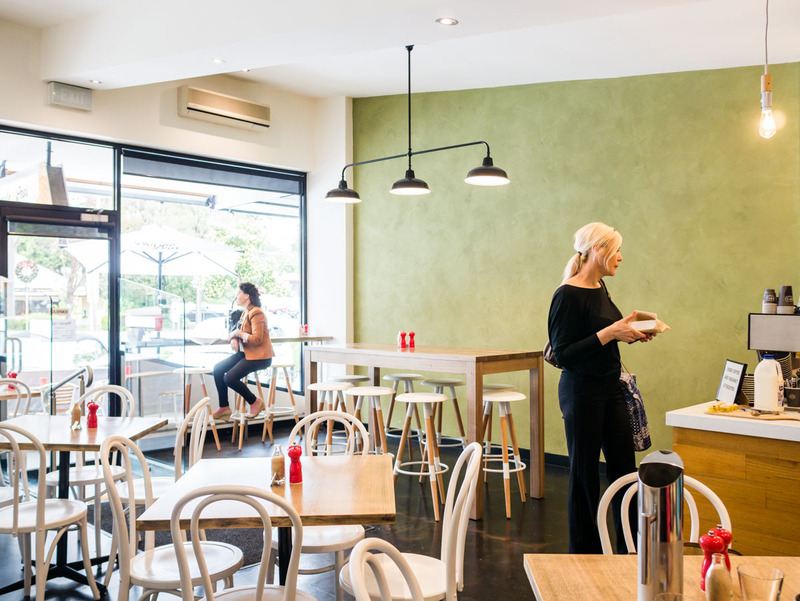 The scope of our work with Charlie & Leo’s was consultative. We defined the style goal, discussed and reviewed the configuration of tables and chairs, and other key pieces of furniture. 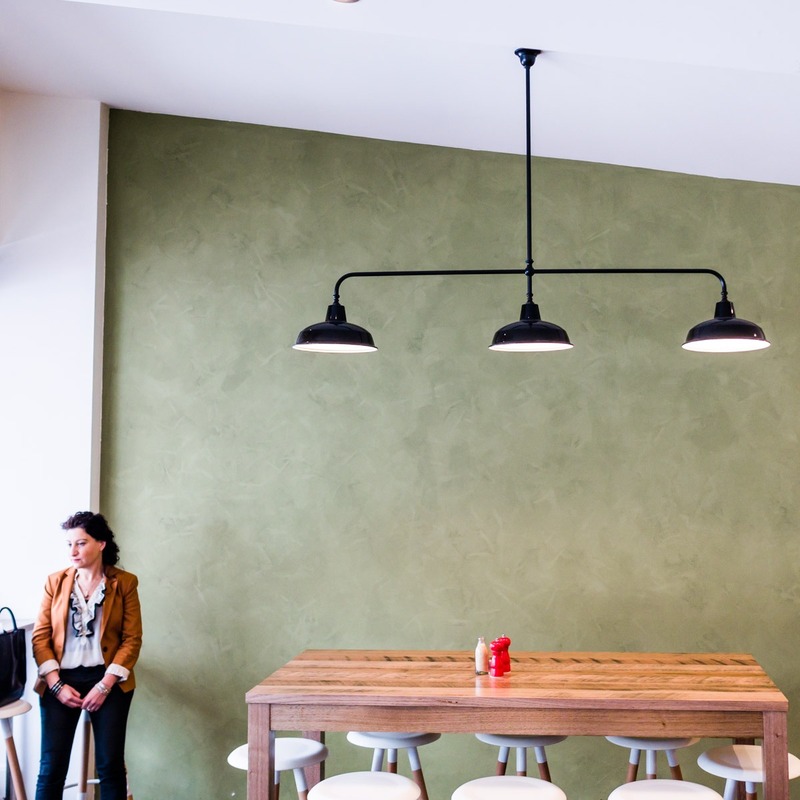 We identified a colour scheme, reviewed the space to provide broad recommendations relating to function, noise and lighting. 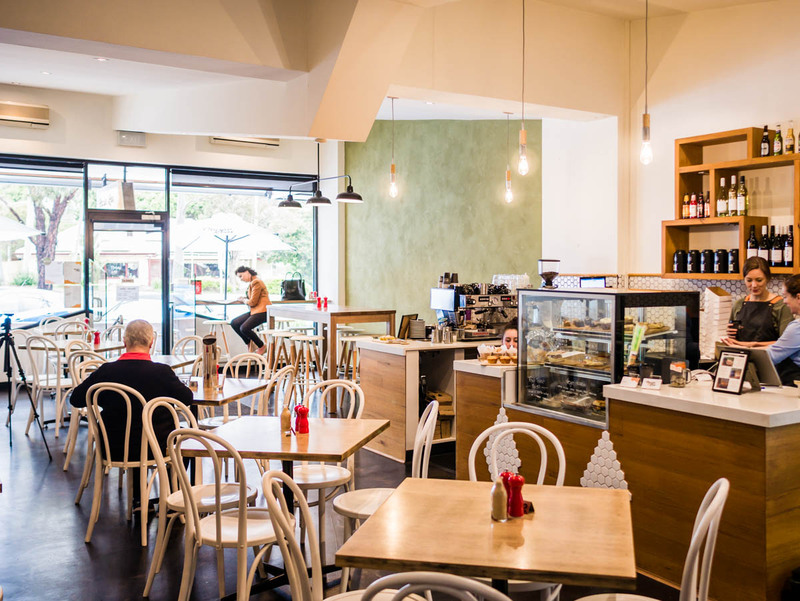 We also identified key pieces of furniture needed for the fit out, for example the waiter’s station to conceal the wood fire oven installed by the previous owners. For the style goal the client wanted a space that was modern, warm and comfortable, a space where local customers could feel welcome. We chose a colour scheme of green, orange and red, that the clients loved which also worked with the colours found in the visual identity of orange, white and black. We advised on a configuration that suited their key target audience of local mums with children and older people. 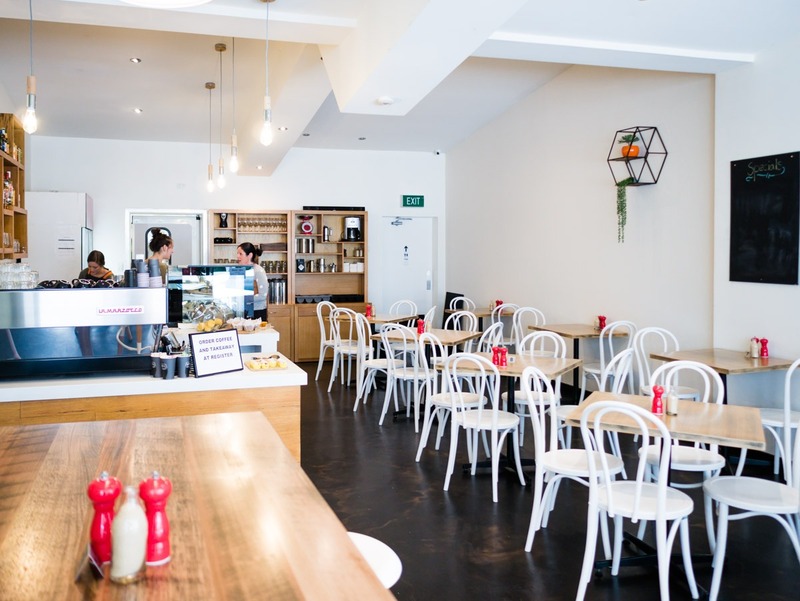 As well as advising on a tall communal table to suit customers ordering a take away coffee. Additionally we advised on textural elements such a stone effect paint for the feature wall and a textured wallpaper, all working to create warmth. We ensured the hexagonal shape featured in the visual identity was found within the space on the counter, splashback and floating shelves. 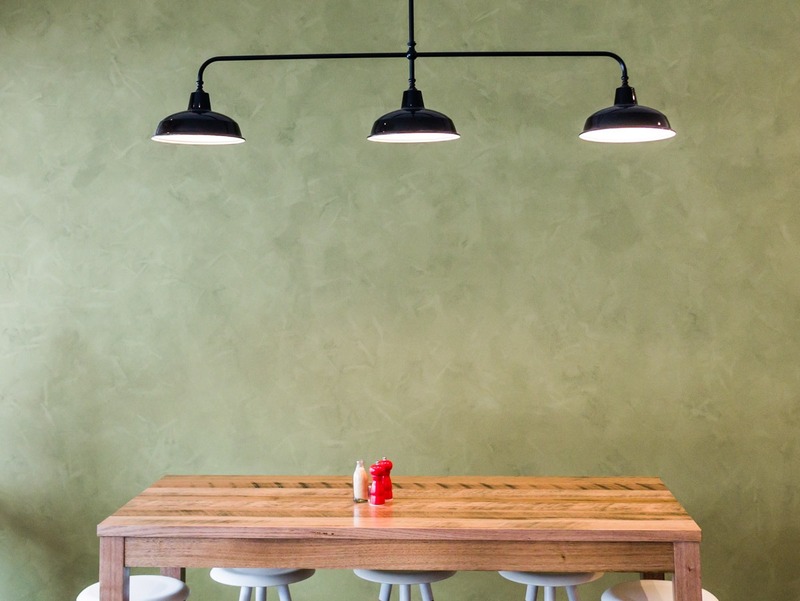 With the lighting we advised on keeping the existing lighting as well as adding an industrial feel with a black pendant to contrast the green feature wall. 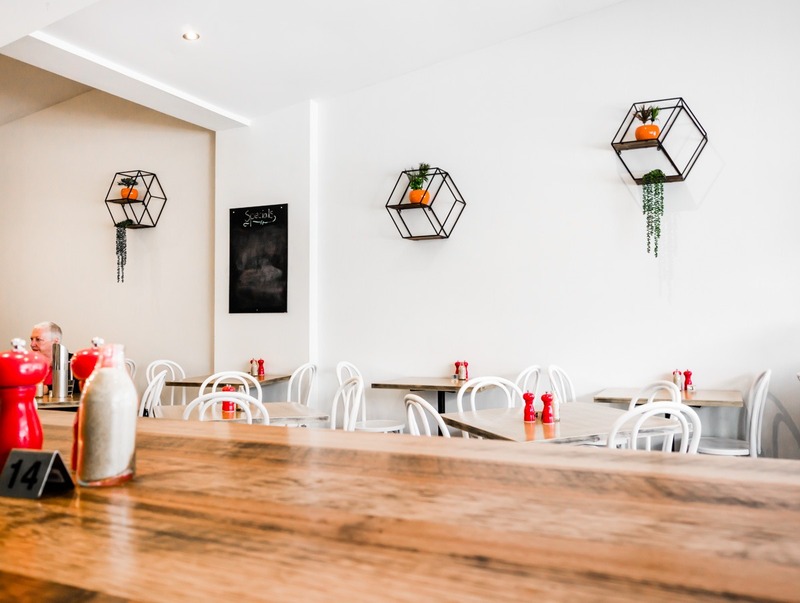 Overall we provided a cohesive design that connected the menu, the business name and visual identity with the interior to create a seamless space, connected to the owners and the customers. 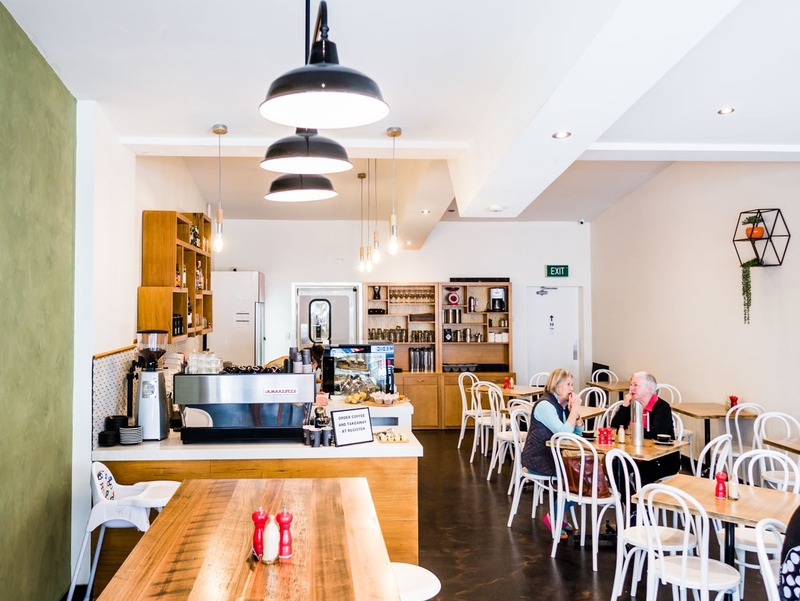 “We could not have completed the fit out of our cafe without Trish. 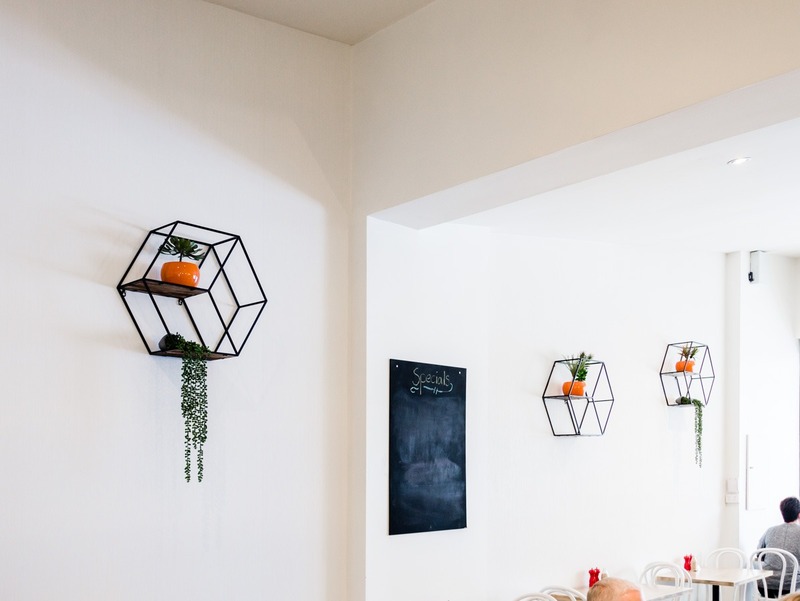 Every day I have a customer tell me how much they love our decor – how it’s so light, airy, clean and fresh. 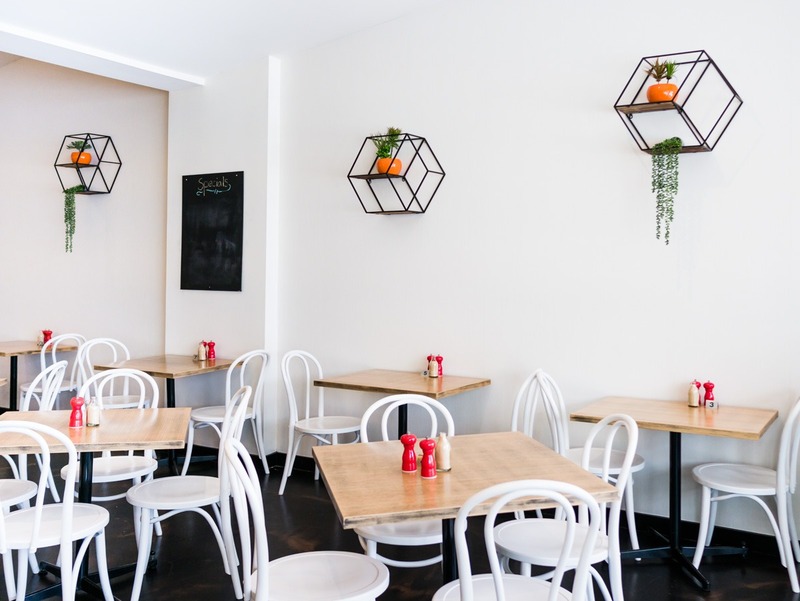 They love the green wall and there are plenty of compliments on the white seating and how the colouring works so well with the natural light.” Carmelina, Owner, Charlie & Leo’s, Lower Plenty. Photography by Michelle Broadhurst Photography.